Surf anonymously, prevent hackers from acquiring your IP address, send anonymous email, encrypt your Internet traffic, and un-ban your IP on forums. 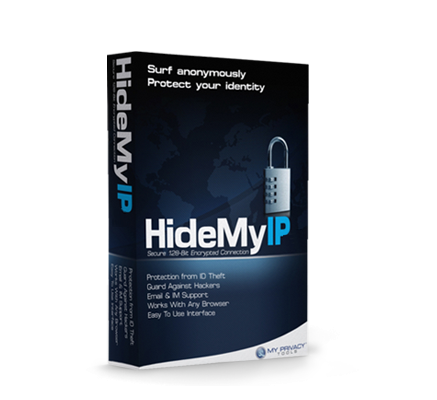 With thousands of IP addresses provided in many locations, a simple interface, and many features, Hide My IP has been chosen as a leader in online privacy solutions since 2006. Where are these fake IP addresses located? 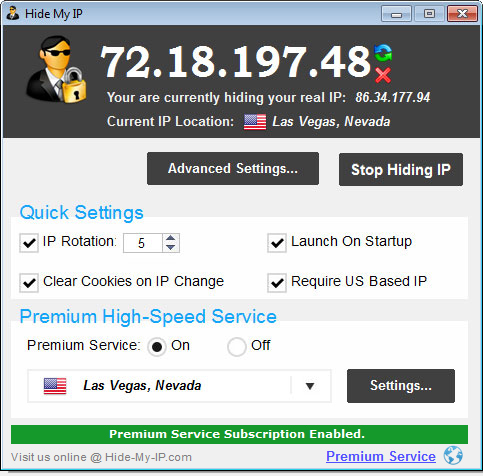 Hide My IP selects a random IP from a list of hundreds of anonymous fake IPs from all over the world. The chosen IP is then automatically installed into your web browser, e-mail client, game, or other application you specify Hide My IP to work with, allowing you to surf the Internet and use Internet-based software while remaining totally anonymous. Unlimited Lifetime Support. ORDER YOUR COPY!